I’m no genius when it comes to hardware. And I should probably state up front that I don’t work in the Windows product group nor do I have any insight as to their roadmap. That being said, I’m getting a little tired of folks with few technical credentials declaring “Windows on ARM” a non-starter… that it’s a strike against Intel & that the Wintel monopoly is crumbling… that it’s too late and that Microsoft is irrelevant in the mobile or tablet space. How about we all just consider that this is all blatantly obvious? No – it’s more than obvious: IT’S OLD. It’s something that’s been known by Microsoft and naturally the “industry experts” for a good while now. This is not new and should we all just take it for granted that it’s being worked on? You’d think these folks that live in “media time” (Media time = “Gotta get my copy in by my editor’s deadline”) would just assume that instead of droning on about “why is it taking so long” & “Microsoft doesn’t get it”. Consider another apparently ‘obvious’ market space for Microsoft to engage: The Motion Gaming industry – i.e. the space previously uniquely occupied by the Wii & the Wii Controller. What did Microsoft do to compete in this space? 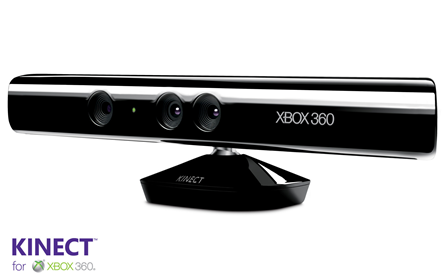 Like Gordie Howe used to say, “I don’t skate to where the puck is now; I skate to where the puck is going to be next.” Microsoft didn’t just copy the Wiimote like Sony did with the Playstation 3: It deliberated, made careful decisions, & foresaw the next generation of motion gaming by releasing the Kinect, which has become the fastest selling consumer electronics product in history. Now it’s commonly held that the Wii is on a severe downward trend. Xbox 360 for the first time ever outsold the Wii every month starting back in August 2010, I believe. While maintaining its leadership as the premier platform for advanced console gaming, it usurped the mantle of motion gaming from the previously unbeatable Wii with a single, well-calculated move. WANNA HINT ABOUT TABLET INNOVATION? IT’S IN YOUR XBOX. What does all of this this have to do with Tablet innovation? Simple. We know that hardware gets commoditized – it gets cheaper as long as there’s competition. The future lies in commoditized devices where larger production results in cheaper costs. Take the Xbox: The Xbox Classic tried to leverage commoditized parts like off the shelf Intel P3 processors, off the shelf Nvidia GPUs, off the shelf hard drives, off the shelf PC components, etc. The original tact was to use highly commoditized parts to leverage economies of scale and a reduction of cost through volumes. This turned out to not be so good because there was a ceiling at which volume discounting could reduce the cost of the box’s manufacture. Everything changed dramatically with the Xbox 360 where the processor was a custom Microsoft design, the GPU was a custom Microsoft design, and all the rights to the processors were licensed from their respective licenses – in this case, IBM and ATI. Increasing the quantity of chips created per plate of silicon, cutting the price by nearly 50% over time. Decreasing the power consumption of each chip, reducing the heat dissipation of the processors and simultaneously making the console more power efficient & minimizing the cost of cooling components. Ultimately, converging both processors into a single piece of silicon (i.e. 1 chip with CPU/GPU), reducing system support requirements and overall materials costs associated with the most expensive component of the Xbox by another 50%. Note that this is all putting aside the inherent benefits of the ARM processor platform itself – being generally better optimized for mobile scenarios. HOW IS THIS COMPELLING TO MANUFACTURER’S & CONSUMERS? Easy. Imagine ARM CPUs… with Windows Embedded in the firmware. Heck – imagine Windows shipping in the same strike as the CPU. 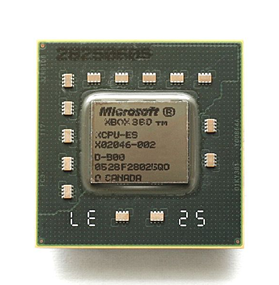 “Windows Processors” designed by Microsoft, produced by OEMs in the same way that the Microsoft-designed Tri-Core IBM PowerPC processor is for the Xbox 360. Windows Processors that get firmware based updates that simply override components on chip. Imagine pricing that’s extremely low since piracy issues are controlled, the license is hardwire-tied to the processor, and the profit from the CPU co-funds the Windows license. Going a step further, imagine the cost of the OS being completely engineered into the cost of the CPU itself. Imagine Office ported to Windows on ARM – a specific version for mobile class machines. Because it’s a new port it can be scaled down for the processing limitations of ARM while being optimized for things like touch, always-connected devices, etc. Because it’s a different SKU it can be priced differently & attractively without diluting the existing market for Office on desktops/laptops/netbooks. Imagine the .NET framework being implemented in hardware. Abstraction is suddenly not a bottleneck and managed code can be run on devices that are specifically designed for managed code – running at breakneck speeds. Think about the cost advantages. The development advantages. The multi-platform code usage advantages. The market advantages for application developers that have access to ARM & x86/x64 customers. 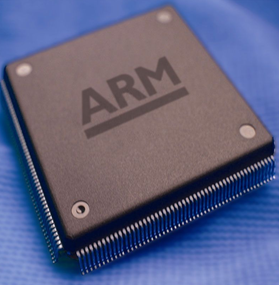 All in all – the Windows on ARM announcement had much greater implications in my mind that I think much of the media have inferred. This entry was posted on Thursday, January 13th, 2011 at 9:33 am and is filed under Uncategorized. You can follow any responses to this entry through the RSS 2.0 feed. You can leave a response, or trackback from your own site.